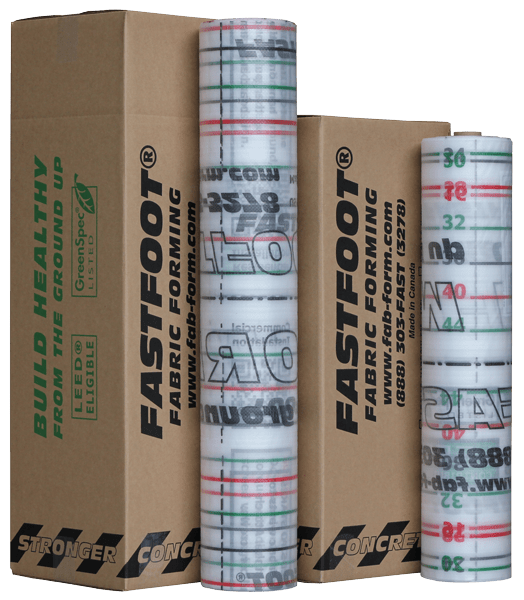 Made of high-density polyethylene fabric, Fastfoot® is a green replacement of lumber and plywood for forming concrete footings. A 100′ roll of Fastfoot® forms the same concrete as 1,500 pounds of lumber. Fastfoot® is now printed in three colors for easy reference of footing width lines and QR codes for onsite reference to the installation guide. Nominated in 2010 and 2012 as the Contractors’ Choice product of the year. 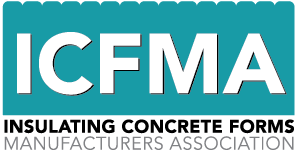 Click on image to visit Concrete Contractor website. Fastfoot® is ideal for residential and commercial strip footings and pad edging. Fastfoot® is a closed form. As seen from this photo there is no concrete damage to screed boards and stakes. This means your 2x4s and stakes can be re-used indefinitely. Special colored width lines allow Fastfoot® to be ‘let out’ or ‘pulled in’ to accommodate uneven excavations. No need to scab lumber on the sides of your footings or shovel the ground to achieve the footing depth. Fastfoot® is perfect over rock. Fastfoot® quickly adapts to the uneven contours of your bank. No need to waste plywood. Fastfoot® is ideal for deep footings and commercial pads. Form footings up to 4′ deep. Eliminate expensive and heavy plywood and eliminate expensive re-cycling of formwork. Concrete is ‘hygroscopic’, wicking up ground moisture which leads to a damp and moldy interior. Fastfoot® is a damp proof membrane, preventing ground moisture wicking into the footing concrete, providing a drier, healthier indoor environment. Fastfoot® prevents the footing concrete from being contaminated by mud and water, leading to a stronger concrete. In the summer, Fastfoot® prevents rapid evaporation of moisture in the sides and bottom of the footing. This ensures adequate moisture for proper hydration of the cement particles. 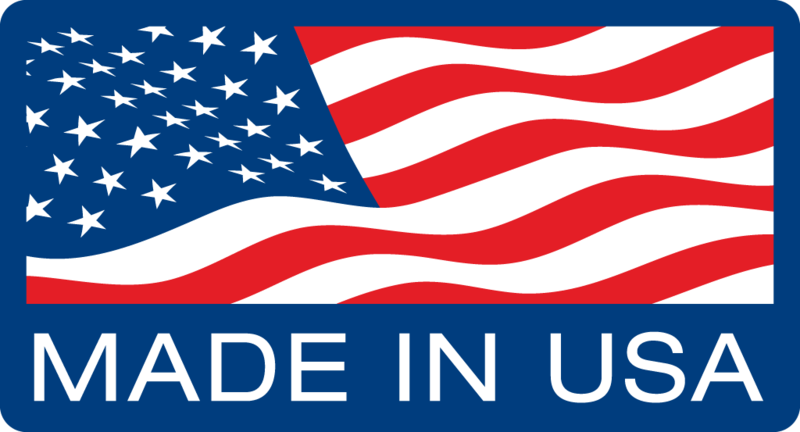 Fastfoot® is LEED® contributing and GreenSpec® listed.